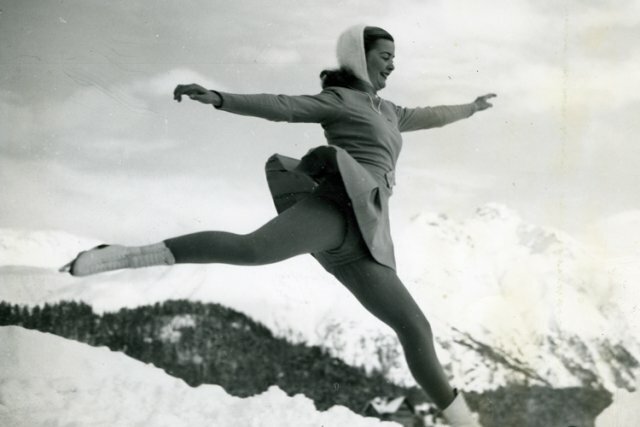 Barbara Ann Scott King (May 9, 1928 – September 30, 2012 was a Canadian figure skater. She was the 1948 Olympic champion, a two-time World champion (1947–1948), and a four-time Canadian national champion (1944–46, 48) in ladies’ singles. Known as “Canada’s Sweetheart”, she is the only Canadian to have won the Olympic ladies’ singles gold medal, the first North American to have won three major titles in one year and the only Canadian to have won the European Championship (1947–1948). During her forties she was rated among the top equestrians in North America. She received many honours and accolades, including being made an Officer of the Order of Canada in 1991 and a member of the Order of Ontario in 2008. Barbara Ann Scott is the greatest female singles skater produced by Canada. She passed all her skating tests by age 10, the youngest Canadian to ever do so. In 1939, aged only 11, she became Canadian junior singles champion. She repeated that title in 1940 and attempted to win the senior championship in 1941 and 1942, but was runner-up both years to Mary Rose Thacker. These titles came despite her father’s death in 1941, which left her family with little money for training. Scott won her first of five straight Canadian senior championships in 1944. In 1945 and 1947 Scott was North American champion. International competition resumed in 1947 and Scott entered both the World and European Championships – in that era, the Europeans were not restricted to natives of Europe. Thus, in 1947, within six weeks, she held the concurrent titles of Canada, North America, Europe, and the World. Her triumphs in 1947 brought her fame at home and a huge welcome was arranged with Ottawa’s children given half a day off from school so they could watch the adulatory parade. The citizens of Ottawa also pitched in to present her with a new yellow convertible automobile. But future IOC President Avery Brundage protested this gift, and demanded that Scott return the car or risk losing her amateur status. Barbara Ann Scott returned the car and was allowed to compete at the 1948 Olympic Winter Games. She dominated the competition at St. Moritz and easily won the Olympic gold medal, defeating Austria’s Ewa Pawlik, who took the silver medal. After the 1948 Olympics, Scott turned professional, where she was a huge success. 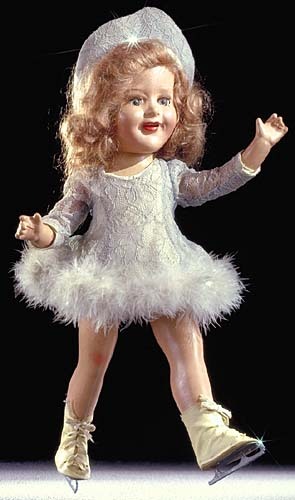 She skated with the Ice Capades, starred in a London theatrical ice show based on the musical Rose Marie, and finished her career while starring in the Hollywood Ice Revue. Scott retired from skating in 1955 to marry American publicist and businessman, Thomas V. King, whom she had met while travelling with the ice shows. They settled in Chicago, where Scott began a second sporting career of training and showing horses. Much lauded in her native country, Scott helped carry the Olympic torch on its journey to the 1988 and 2010 Winter Olympics, both held in Canada. In the latter edition she was also selected as one of the Olympic flagbearers alongside a host of other Canadian luminaries. In addition to being a three-time Lou Marsh Trophy winner as Canada’s best athlete (1945, 1947, 1948), she was made an Officer of the Order of Canada in 1991, a member of Canada’s Walk of Fame in 1998, and has been inducted into Canadian Olympic, Canada’s Sports, Ottawa Sports, Skate Canada, and International Women’s Sports Hall of Fames. Later in life she lived in Florida, until her death in September 2012 at the age of 84.